The big news in my life is that 9-month old Luigi has discovered how to crawl. This is a game-changer! You can no longer just put him on the floor with some toys, go into the other room to get something, and come back. I mean, you can, but there's a decent change Luigi won't be where he was left. One of Luigi's favorite activities is trying to pet Ziggy. He LOVES Ziggy. While I think Ziggy enjoys the attention, he often seeks higher ground when Luigi is around. I ride the Metro regularly, but in all my years commuting, I don't recall seeing someone take off their shoes. Why is this happening? I attended The Moose's first grade performance a few weeks ago and had my phone ready to record his one speaking line. About 10 seconds before his line, my phone informed me that my storage was full, and I missed filming it. Fortunately, another parent from his class filmed it all and sent it out, so I can now watch him say "Someone get a nurse" anytime! Oh, The Moose is Chicken Little with a yellow chicken head in this picture. Tony Bennett has over 19 Grammys and has had an amazing singing and performing career. I have no idea who Tony Bennette is. Someone at Fairfax Times missed this. With apologies to Milos Raonic, Genie Bouchard, and Denis Shapovalov, Crosby would easily be the most-famous Canadian player in the tournament. 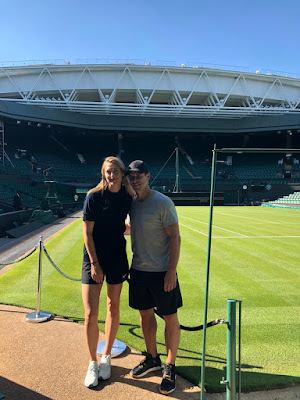 I have no idea why Sharapova and Crosby are together, but this is pretty cool since Wimbledon is an awesome place to visit. - I and you on the beach! - This is my fifth tweet and you are not responding. Love from Pakistan. - Don't know if Sid and Maria are dating.. One thing for sure, they both have awesome legs! Okay, this last one made me chuckle. Photos from Maria Sharapova's Twitter account. Last week, someone I follow on Twitter shared a picture of her being at Primanti's in Pittsburgh. Then, I saw that she and her family visited the Carnegie Science Center. Then I noticed that her tweets included the hashtag #KidsBurgh and discovered that there were others using the same hashtag. Apparently, Visit Pittsburgh invited about a half-dozen mommy bloggers (and one daddy blogger) to Pittsburgh to promote and encourage families to visit my hometown. I'll admit that I'm a bit jealous that I wasn't invited since the group also went to Kennywood, the Children's Museum of Pittsburgh, and a Pirates game. Despite having a blog for 13+ years, I understand that I have a limited following. (Thanks to all of you for reading!) I've written several times over the years that if I wanted a bigger audience, I would be better served to have a single topic blog. Maybe I could be a daddy blogger. I've certainly written many posts over the years about my kids and being a dad. However, if anyone has followed the history of parent blogs, you would know how things have changed. Instead of sharing personal stories and anecdotes, parent blogs have turned into constant sponsored posts on a wide variety of products and services. (The Washington Post had an article about this earlier this year.) Besides sharing pictures of their Pittsburgh trip on Twitter and Instagram, you can be sure that the bloggers will write all about their trips on their blogs. You didn't know Sugar Ray lead singer, 3-time Rock and Roll Jeopardy Champion winner, and Celebrity Big Brother contestant Mark McGrath and I are friends, did you? Well, I can prove it since he responded to my tweet after performing at Celebrate Fairfax earlier this month. I think it's fair to say that we're almost BFFs. Let's set the stage so to speak. The 2018 Celebrate Fairfax festival featured a twin bill of Gin Blossoms and Sugar Ray on Saturday night. Gin Blossoms performed first and played a mix of their classic songs and new ones from a just-released album. Singer Robin Wilson has such a cool voice. After playing for about an hour, Wilson said good night and he and the band left the stage. 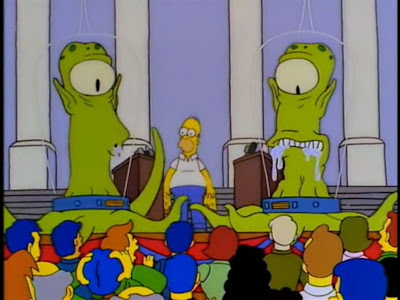 We thought they were just doing the bit where the band leaves before the encore since they hadn't performed their two biggest songs, Hey Jealousy and Follow You Down. About 30 seconds later, Wilson came back and basically said, no, we're really saying good bye since there are thunderstorms in the area. Stay safe! Oh, a personal highlight was McGrath emphatically stating that he is a LA Kings fan, just a few days after the Capitals winning the Stanley Cup. He got booed and gave props to the Caps, but I appreciate him not pandering to the crowd like Chad Smith of Red Hot Chili Peppers. Amazingly, despite seemingly everyone having their phones out during the show, I couldn't find any videos of the Sugar Ray show on YouTube. Fortunately, Jason captured a few seconds of Fly. If you have a chance to see Sugar Ray, do it. You won't be disappointed. Ah, to be 28 again where I could sleep in on weekend mornings! 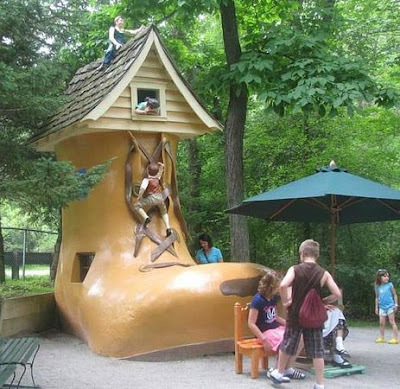 I'm also not sure that I'm as tall as a foot unless it's the foot that went into the shoe where the old woman lived. I understand that my job isn't the easiest to explain, but playing bad girl games is not part of my job description, even under the other duties as assigned category. With that written, if you know of any bad girl games, please send them along as perhaps I could use them for a staff development or teamwork activity. My favorite part of this is the play with a saw and cut answer. I don't think Pedro Tulo has ever seen me use a saw, and I definitely would not let him use one himself. Does he think we're lumberjacks? Oh, for future reference, my hair is not blue and pasta is fine though not quite a personal favorite. I hope you had a nice Fathers Day! Photo from Idlewild Park via TripAdvisor. Welcome to the greatest World Cup preview you will read anywhere...as long as you're not looking for a breakdown of each individual team. Or any other analysis. Instead, this post contains random information about players and teams. For example, do you want to know what team has the most players with tattoos? I mean, I don't have the answer, but I'd like to know. Watch the 2018 World Cup over the next month, and together, we'll find out. In the meantime, enjoy all the random information you didn't know you wanted to know. With the United States failing to qualify for the World Cup, many Americans are looking for teams to support. The answer is probably Iceland because they are the smallest country to ever reach the World Cup with a population of about 335,000 (or slightly more than Corpus Christi, Texas and Lexington, Kentucky) and are coached by a dentist. I highly recommend reading this Sports Illustrated article about Iceland and their coach/practicing dentist Heimir Hallgrímsson. There are other options too. Costa Rica features Rodney Wallace, who grew up in Rockville, Maryland, attended the University of Maryland, and plays for New York FC. Costa Rica and Panama both have 6 players on their rosters that play in the MLS. Then there's Gotoku Sakai who was born in the tiny Japanese village of (double-checks Wikipedia) New York City, so if you want a team with an American-born player, Japan is your pick. Maybe you want to root for the biggest stars of the sport. 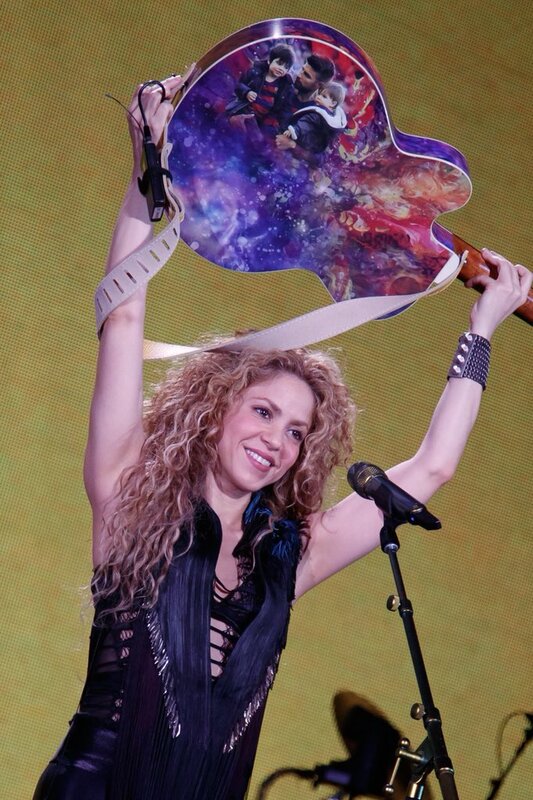 Well, this World Cup certainly has star power. Lionel Messi for Argentina, Cristiano Ronaldo for Portugal, and Bono for Morocco. 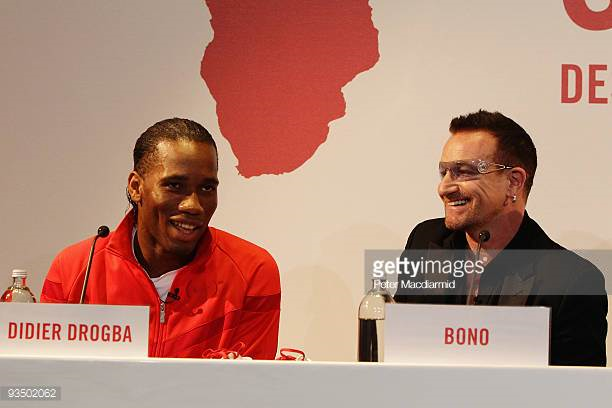 You thought Bono was touring with The Edge and company didn't you? Bono can do it all! Let's take a closer look at some individual players. - The oldest player in this year's World Cup is Egyptian goalie, Essam El Hadary born on ‎January‎ ‎15‎, ‎1973. - The youngest player is Australian forward Daniel Arzani born on January 4, 1999. France's Mbappe born on December 20, 1998 and Moroccan defender Achraf Hakimi born on November 4, 1998 are close behind. - The tallest player is 6' 7" Lovre Kalinic of Croatia. 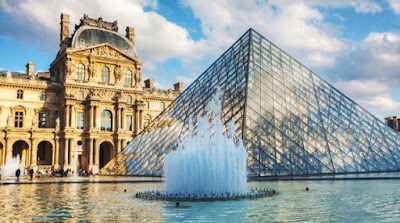 Little known fact: Lovre changed his first name from Louvre so that he wouldn't be confused with the world's largest art museum in Paris. - The shortest player is 5' 5" Yahia Al Shehri of Saudi Arabia. - Unofficially, the lightest players are Fabian Delph of England and the aforementioned Yahia Al Shehri at 132 pounds. - Unofficially, the heaviest player is Harry Maguire, Delph's English teammate, at 220 pounds. - While Saudi Arabia features 9 players from Al-Hilal FC and 7 players from Al-Ahli Saudi FC, Germany has 7 players from Bayern Munich, and Spain's roster includes 6 players from Real Madrid, there is only one country with its entire roster playing in its domestic league: England. - Speaking of England, I enjoyed mixing the worlds of sports and music together thanks to the marriage of David Beckham and Victoria Beckham of the Spice Girls. It's too bad none of the current players are married to or dating members of Little Mix or One Direction or something. - Fortunately, Spain is here to fill the void with Gerard Pique and his partner Shakira. Unfortunately, their house got robbed recently. - I added Minnesota United here since the team only started playing in 2017. When I interviewed CEO Chris Wright last summer, he was still President of the Minnesota Timberwolves and Minnesota Lynx. - Morocco has a very interesting team composition. The 23-man roster includes a total of only 6 players born in Morocco along with 8 in France, 5 born in the Netherlands, 2 in Spain, 1 in Belgium, and 1 from the soccer hotbed of, um, Montreal, Canada. And that Canadian is Bono. Again, Bono is everywhere! - Peru is a country of 31.7 million people. Lima, the country's capital and largest city, has about 9 million people. However, of the 23 players on the Peru roster, an amazing 18 were born in Lima. That seems quite disproportionate. Meanwhile, it appears that the city with the second most World Cup players born there is Reykjavík, Iceland with 13. - Speaking (well writing) about Iceland, everyone on its World Cup roster has a last name ending in N...except for Frederik Schram. How did that guy make the team? - Everyone on Serbia has a last name ending in "ic" except Aleksandar Kolarov and Antonio Rukavina. New Pittsburgh Steelers linebacker Jon Bostic fits in perfectly here. - We interrupt this fascinating look at the World Cup rosters with the all food team. * Aziz Bouhaddouz of Morocco. You're probably wondering why I'm including Bouhaddouz. This last name isn't that close to baklava or baba ganoush. Bouhaddouz is here since he plays for the Hamburg, Germany team FC St. Pauli. 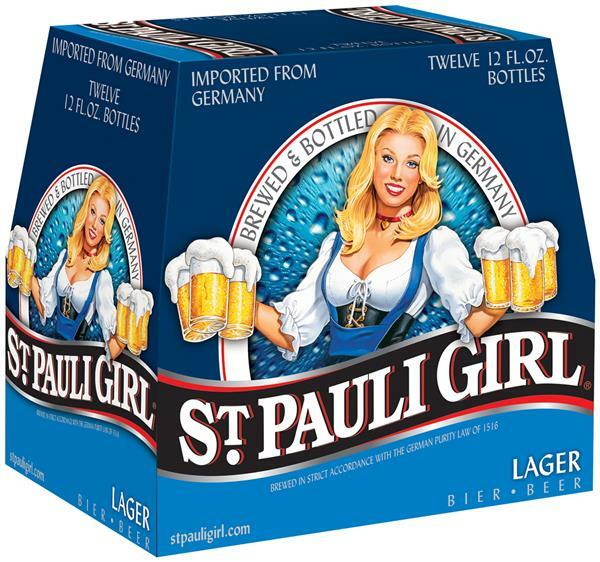 Hey, you need something to drink down your nachos, Reuben, and Italian food! Back to your regularly scheduled blog post already in progress. - Saudi Arabia has three midfielders with the last name Hawsawi: Motaz, Osama, and Omari. That won't be confusing. - Portugal has three players with the last name of Silva: Andre, Bernardo, and Adrien. - South Korea has five players named Kim and three named Lee. - If your name is Jonathan Matías Urretaviscaya da Luz, you have to have a nickname. Good move by this Uruguay player to go by Urreta. - Urreta's teammate Gastón Silva had a prominent role in Beauty & the Beast. - The nickname of Denmark's Mathias Jørgensen is Zanka. 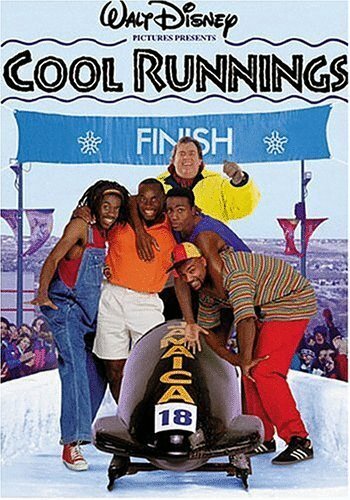 Apparently, Zanka's nickname is from the movie Cool Runnings, where one of the main characters is named Sanka. You didn't expect a reference to Cool Runnings here, did you? - Croatia has 5 players born in Yugoslavia. That just looks odd to read since Yugoslavia broke up in the early 90s. - Belgium features brothers Thorgan & Eden Hazard. Since Belgium has a monarchy, it's possible that if Belgium wins the World Cup, they could become the Dukes of Hazard. - When not writing the Girl with the Dragon Tattoo series, the apparently resurrected Sebastian Larsson is on the Swedish national team. - Willian plays for Brazil while also being part of The Black Eyed Peas and appearing as a hologram during the 2008 CNN election coverage. - Panama gets the prize for the most multi-sport athletes. Eric Davis is a defender for Panama and was all All-Star outfielder for the Cincinnati Reds. Jose Calderon is fresh off his NBA Finals loss with the Cleveland Cavaliers and future Hall-of-Famer Alex Rodriguez is taking a break from his work as a baseball analyst to play in Russia. - Tunisia's Saber Khalifa may or may not be related famous Pittsburghers: rapper Wiz Khalifa and Pittsburgh Pirates shortstop Sammy Khalifa. 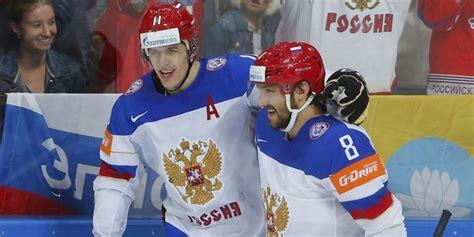 - Despite being in a fairly weak group, the host Russian team isn't expected to go very far in the tournament. Therefore, don't be surprised to Evgeni Malkin and Alex Ovechkin as two late additions to the roster since they've both won Stanley Cups in the last three years. Success breeds success or winning begets winning, right? If you liked this blog post, please follow me on Twitter and like my Facebook page for more witty (or not so witty) thoughts. 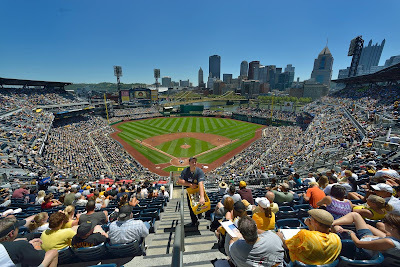 I've written numerous Pittsburgh Pirates, Penguins, and Steelers draft recaps over the years. If this is new to you, please don't expect for in-depth analysis of the draft picks and possible career projections. Check out Pirates Prospects for that. Instead, enjoy a little light-hearted look at hopefully future Pittsburgh Pirates stars. I don't really have anything amusing or thought-provoking to write about Braxton Ashcroft. I just want to type Braxton Ashcraft over and over again. Braxton Ashcraft! Braxton Ashcraft! Braxton Ashcraft! The trend seems to be to go faster and get guys who can shoot the 3, so this may be a calculated decision by the Pirates to zig where other teams zag. The Pirates drafted four college centers all from schools with impressive basketball histories. These four guys hope to match their predecessors like Wilt Chamberlain, Emeka Okafor, Cliff Robinson, Sean Rooks, and Channing Frye. We'll just forget about Hasheem Thabeet. No one, I repeat no one made any references on Twitter to Flynn pleading the 5th, or chanting "Lock Her Up" or the fact that he might go to jail. Seems like a lot of people missed a golden opportunity. Hit me baby one more time (is hopefully what opposing hitters are unable to do). I just wanted to include him here as a personal preference. Carry on. A hard-hitting Lambert in Pittsburgh would be very, very popular. Want to feel old? Andrews was born on September 28, 2000. 2000?!?!?! Should we go with a Searching for Lavoisier Fisher reference or a pass the Lavoisier reference? Tough call. Citta gets listed here twice for one very important reason. Little known fact that his family was the inspiration to one of my favorite 90s songs, Flagpole Sitta by Harvey Danger. You can see all of the Pirates draft picks (though without my fun comments) on the Pittsburgh Pirates website. The Washington Capitals are going to win the Stanley Cup. It might happen in game five in Las Vegas on Thursday or back in DC on Monday, but it's going to happen. Teams with a 3-1 lead in the Stanley Cup Final are 32-1 with the only one being in 1942. Even with their history of losing 3-1 series leads in earlier playoff rounds, the Caps are going to win their first Stanley Cup. I've resigned myself to this and am actually okay with this. I've lived in Northern Virginia since 2001. Professional sports teams here have had limited postseason success, and this is the first time in the nearly 17 years I've been here where the city is truly excited about one of its teams. 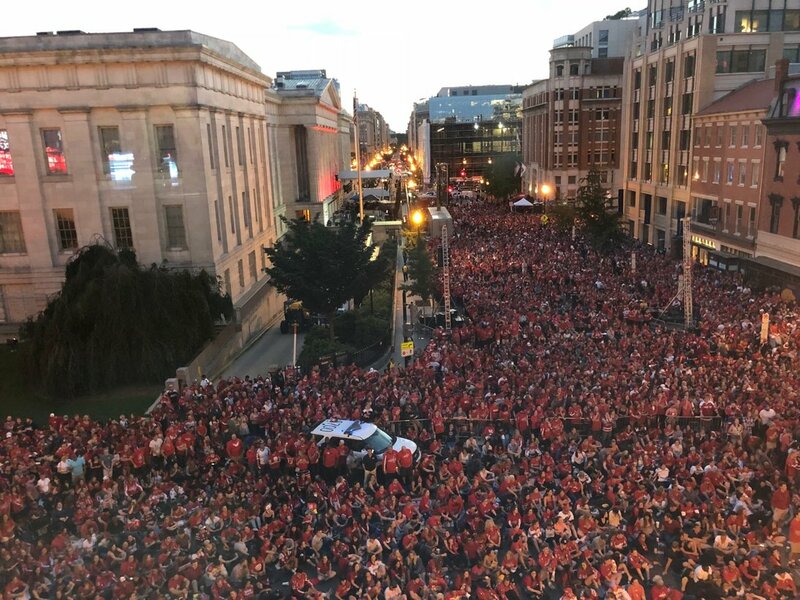 Take a look at this picture from outside Capital One Arena for game 4. 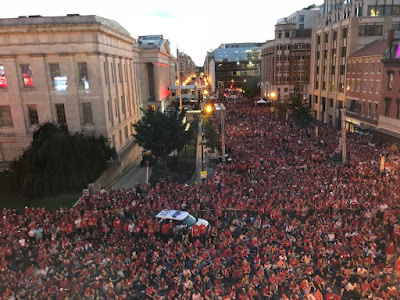 So congrats to the Caps and to their fans (well, at least the rationale ones) on winning the Cup. I also hope that Tom Wilson isn't able to participate in the victory parade since he's in a Vegas jail for trying to break a slot machine. Photo by Monumental Sports Network. Today's video is "Sober Up," the very cool song by AJR. According to something called Clevver, "a dominant media brand for pop-culture Entertainment," the name AJR is based on the first letters of the first name of the three band members, Adam, Jack, and Ryan Met. Although these brothers are from New York, I think they are secretly Steelers fans, and the band name is actually a tribute the founding owner of the organization, Arthur Joseph Rooney Sr.